The Mutus Liber first appeared in 1677 in France. 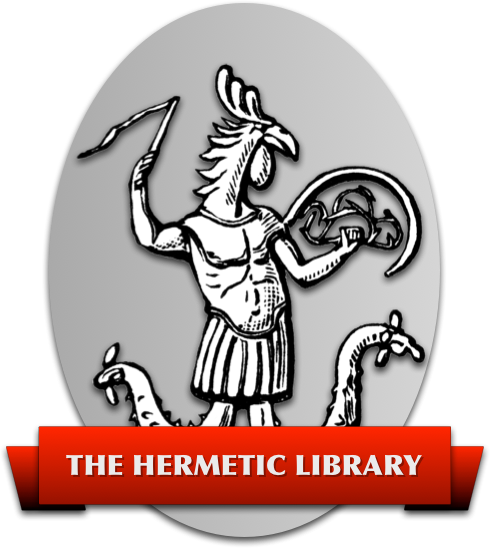 The hermetic climate of the time favored the publishing of alchemical information but only with certain locks attached that required the keys of particular learning and experience to open. The fifteen plates of the Mutus Liber are no exception. They require a level of familiarity with certain symbols, processes, and patterns of logic to open. One of those perspectives is that of the Qabbalist. The following is my perspective, as a Qabbalist, on but one small part of the Mutus Liber — the Biblical verses noted in Plate One. I present my personal conclusions only in an effort to better illustrate the Qabbalistic techniques discussed. The “Allegory” section is the standard English translation of the Masoretic text, while the “Directive” and “Letter as Symbol” sections are personal interpretations based upon months of work. Appendix A and B may be of some assistance in deciphering their evolution. I urge the reader to employ the techniques described and divine one’s own meanings. Alchemy and Qabbalah as an Art are, after all, processes of self discovery. In the Latin verse, we are being told the book is “wordless” — separating the idea “word” from “hieroglyphic figures” such as the images of the plates; and, most significantly from Hebrew, which is a hieroglyphic aleph-beth. The term “sacred to God” in reference to the “hieroglyphic figures” which set forth the “whole of Hermetic philosophy,” is another reference to the Hebrew letters of the Torah. “Thrice best and greatest” may indicate the threefold techniques expressed in the following section on Qabbalistic practice. “Dedicated to the sons of the art only” indicates that the “hieroglyphic figures” are intended as specific alchemical symbols. And finally, the author’s self-declared name encourages the elevating and sanctifying of those very meanings (another echo of Qabbalistic practice). The Hebrew verses (translated later on) refer to the allegory of Jacob’s transmutation, as do the images presented in Plates One and Fifteen. (Plate One shows Jacob asleep beneath the ladder, angels trumpeting, and Plate Fifteen shows the conclusion of the allegory with Jacob’s ascension as Israel.) This is to say, essentially, that the main body of the Mutus Liber occurs within the content of these six verses, symbolically sandwiched between images of Jacob’s vision and his eventual ascension as Israel. As a Qabbalist, then, I recommend that these hieroglyphic-Hebrew verses be considered as a further elucidation of the processes described by the illustrations of the Mutus Liber. I expect they provide instruction that was felt to be too sensitive for “open” publication. I further assert that the Latin verse of Plate One is a clear indication to the reader that she/he is to treat the Torah verse Qabbalistically. The mythology on which much of the Qabbalitic approach to the Torah is based goes something like this: the Torah was passed to us, from ‘god’, as a string of Hebrew letters. They were given without the vowel points which make them pronounceable, essentially leaving it to our wisdom to divide them into words and interject the vowel points. Thus, the old Rabbinical aphorism that there are “72 ways to interpret the Torah”; meaning that there are as many ways to interpret it as there are interpreters. 1) The Allegory: This is the tale being told by the letters through their common interpretation based upon accepted word groupings and vowel points. This is the level of dogma. 3) Letter as Symbol: At this level, the Qabbalist looks at each individual letter as a symbol. Hebrew is a hieroglyphic aleph-beth and as such, each letter is symbolic of a specific meaning. The Qabbalist through meditation, study and prayer, works with the letter/symbols, considering their interrelationships, frequency, context, charts their flow throughout, performs every trick they can think of to lure out their meanings, divining a deep (and often detailed) level of symbolism. The Art of the Qabbalist is like that of the Alchemist. The process of looking for successively deeper levels of meaning can be equated to the Solve of the Alchemist. The Coagula is accomplished by the Qabbalist through a process of bringing what is learned at the level of letter/symbol, up into one’s awareness at the directive level. This is then integrated into the experience of the allegory. This process elevates the merely dogmatic allegory to the state of personally meaningful symbol (i.e. : a Magical Tool). And he lighted on the place, and tarried there all night, because the sun was set; and he took one of the stones of the place, and put it under his head, and lay down in that place to sleep. And he dreamed, and behold a ladder set up on the earth, and the top of it reached to heaven; and behold the angels of God ascending and descending on it. So God give thee of the dew of heaven, and of the fat places of the earth, and plenty of corn and wine. And of Zebulun he said: Rejoice, Zebulun, in thy going out, and Issachar, in thy tents. And Israel dwelleth in safety, the fountain of Jacob alone, in a land of corn and wine; yea, his heavens drop down dew. Willfully direct what you perceive/observe into the dew. Activate the principle of fertility, enlivening the water. Take hold of the power which is housed within the medium of the physical sun (sunlight). Subtly cause the containment of the essence of sunlight, actively upon the dew. Enliven the water, consciously condensing the essence of sunlight and actively fixing it therein. Hold the essence of sunlight, housing it in the dew, physically manifesting the fixing of the essence of sunlight. Cause the containment of the active force within the water, and fix its fertility within the earth, thus strengthening the active force of the water. The water shall contain fermenting herbaceous matter (the medium which lures fertility into the earth). Consciously fix the essence of sunlight by placing the water upon the earth; the essence of sunlight active in the water fixes fertility within the earth. The water which holds the active force, opens. The essence of the active force within the earth is active upon the water. Perceiving the force active upon the water, consciously open the water and fix it therein. Physically manifest fertility - grasp the active force! The herbaceous matter is active upon the water; the water, because of its actively fixed sunlight, activates the latent force within the matter; fertility is active upon the herbaceous matter. Fixed, it rises within and opens the doorway for the powers of fertility, achieving the physical manifestation of alcohol. Observe/perceive the fertility active within fermentation, and holding it therein with your subtle powers, the essence is actively fixed. Concentrate upon the essence; the essence of the active force fixes fertility within the earth. Coalesce the sunlight, causing fertility to be active upon the herbaceous matter - rhythmically. The water fixes the fire, holding it within, fixing in the water the latent and active forces. The physical sunlight, active upon the water, coalesces the perceivable active force. Separate the active force from the fixed force of fertility. A subtle vapor arises during digestion, separating the fixed force of fertility. The subtle body (Salt) is held within the ferment. You shall increase the fire/heat and grasp what arises, for this subtle body holds the active force. Heat the grasped fertility and the rising subtle force. Digest it and then fraction it. Fertility springs forth from the subtle force below it - seen in the rising fermentation. Fertility emerges as the fixed manifestation of alcohol, the subtle expression of fixed sunlight, containing the active and latent force. The following contains the Hebrew words, their root-verbs, and a simple directive translation of each. Aleph: Occurs 19 times. This is the Mother Letter of the Element Air. As the meaning encompasses so much more than (yet includes) mere atmosphere, I have chosen the term ESSENCE. In each case it seems to denote a subtle substance, sometimes as vapor, sometimes as energy. Beth: Occurs 16 times. Beth signifies enclosure (it means “house”) as either an action or an achieved state. I have chosen the word WITHIN as it is most closely equal in meaning. Gimel: Occurs 4 times. Gimel is “camel” and signifies movement from one place to another, as well as the vehicle of travel. I've used the word MOVEMENT throughout but the vehicle of that movement is always implied or stated by the letters surrounding it (as is the subject of said movement). Daleth: Occurs 5 times. Daleth means “door” implying an opening or passage. I have used the word OPENING, but with reservations because I have the sense that it may be more an indication of some form of fractioning (especially as Deut. 33:28, 4th word). Heh: Occurs 23 times. Heh means “window” as seen hieroglyphically. But the pertinent symbolism in this context is that of the Heh-final of the Tetragrammaton - the Element Earth, material force, Assiah, etc. Therefore, I have chosen the word MATTER which, in several of its 23 contexts, also signifies the matter. Vav: Occurs 36 times. Vav means “nail or hook.” It affixes. This seems to be its predominant significance throughout, so I have chosen FIXED as its word. However, it may sometimes refer to a Yetziratic influence (derived from its symbolism within the Tetragrammaton). Cheth: Occurs 5 times. Cheth means “fence” and implies an intentional anclosure of something. Therefore I've used the phrase SEALED CONTAINER. Teth: Occurs 4 times. Teth represents a serpent coiled. The serpent is either coiled in readiness to spring forth or coiled in rest, or perhaps coiled as the Uroboros. It is for this reason that I have chosen the term CIRCULATE (although “digestion” might have done as well). Yod: Occurs 39 times. Yod is the “open hand” and indicates a particular force. I have, after considerable thought, decided that this represents ** (SULPHUR). This seems to work in context, but I may well be incorrect. Kaph: Occurs 9 times. Kaph is the “closed hand.” I have used GRASP. Lamed: Occurs 19 times. Lamed means “ox (Aleph) prod” and is also seen to be the serpent uncoiled and active, so I have chosen the word ACTIVE. Mem: Occurs 38 times. Mem is the Mother Letter for the Element Water and has this essential meaning throughout. Sometimes it seems to mean “condense,” or “distillate,” or “water vapor,” or “liquid water.” I have used WATER throughout except when Mem is preceded by Shin, which I have designated DISTIL. Nun: Occurs 15 times. Nun means “fish.” The symbolism here is one of great abundance and fertility, multiplication, yet with a sense of homogeneity. I've given it the alchemical designation of ** (MERCURY). Samek: Occurs 1 time. Samek means PROP and indicates something that supports and gives stability to another thing. Ayin: Occurs 8 times. Ayin has three possible meanings: “eye,” “fountain/spring,” or “zero.” I have chosen to use the “eye” symbolism and have designated it with the word OBSERVABLE. In most instances this seems to work, but in a few “fountain/spring” may be more appropriate. Peh: Occurs 3 times. Peh means “mouth.” The Mars overtones in its related symbolism lead me to think in terms of consumption. I have therefore used the word IMBIBE, but its opposite “express” may work just as well. Tzaddi: Occurs 7 times. Tzaddi means “fish hook” - that with which one catches the Nun. I have used FERMENT for alchemical reasons which relate to Nun symbolizing mercury. The importance of the ferment/must/new wine principle is evident through all three layers of these passages' meaning. Qooph: Occurs 6 times. Qooph means “back of the head.” My initial sense is that Qooph meant the unconscious, while Resh (“top of the head, face”) signified the conscious. Qooph can also be Luna to Resh's Sol, or descent to ascent, etc. For now, I've settled on BELOW for Qooph. Resh: Occurs 15 times. See Qooph. ABOVE. Tau: Occurs 5 times. Tau signifies the “equal-armed cross” or balanced, concrete manifestation. Thus I have designated it as ** (SALT). Barbault, Armand, Gold of a Thousand Mornings (London: Neville Spearman, 1975). Brown, Francis, A Hebrew and English Lexicon of the Old Testament (London: Oxford UP, 1959). Davidson, Benjamin, The Analytical Hebrew and Chaldee Lexicon (London: Samuel Bagster & Sons, 1970). Gettings, Fred, Dictionary of Occult, Hermetic and Alchemical Sigils (London: Routledge & Kegan Paul, 1981). Kaplan, Aryeh, Sefer Yetzirah The Book Of Creation: In Theory and Practice (York Beach, ME: Samuel Weiser, 1990). McLean, Adam, A Commentary on the Mutus Liber (Grand Rapids, MI: Phanes, 1991). – , Torah (Masoretic Text) (Philadelphia: Jewish Publication Society of America, 1955).